Alumni donors and mentors Kim and Jack Johnson lead inaugural volunteer workday at Edible Campus Student Farm. 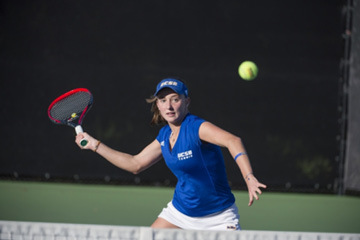 Gift from alumnus John Arnhold and wife Jody will propel Gaucho tennis programs for student-athletes, fans, community. Arnhold’s passion for the sport and steadfast belief in its values is perhaps matched only by his firm belief in his alma mater, UC Santa Barbara. Together with his wife Jody, Arnhold ’75, a trustee of the UC Santa Barbara Foundation, has donated $5.25 million to UC Santa Barbara Athletics in support of its women’s and men’s tennis teams. With major gift for social science research, Louise and Stephen Pahl aim to foster interdisciplinary solutions to array of societal challenges. UC Santa Barbara alumni Louise A. Pahl ’77 and Stephen D. Pahl ’77 have donated $1.1 million to their alma mater to help pave a path toward solutions for massive societal challenges. Their gift establishes the Pahl Initiative on the Study of Critical Social Issues in UC Santa Barbara’s Division of Social Sciences. 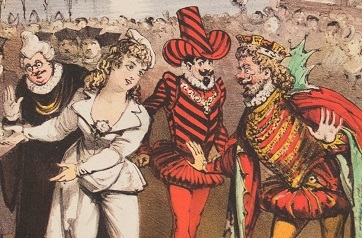 UC Santa Barbara Opera Theatre presents a 115-year-old work by Franz Lehár with feminist themes, celebrating collectors Michael and Nan Miller’s gift to the UC Santa Barbara Library. 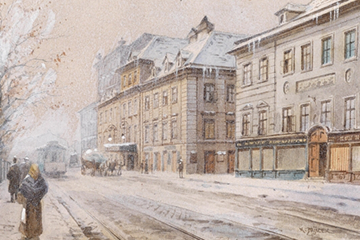 The Miller’s donation consists of more than 175,000 scores of operas, operettas, and other musical-theater works, including "The Mock Marriage." 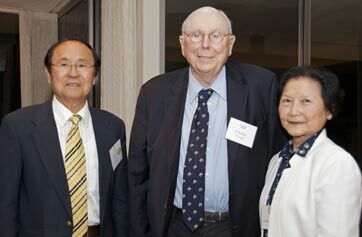 Philanthropist Charles T. Munger makes a gift to UC Santa Barbara of the 1800-acre Las Varas Ranch. 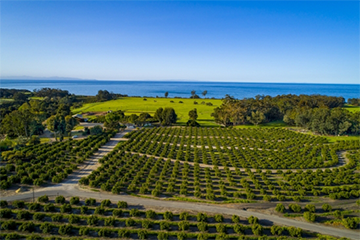 UC Santa Barbara has received formal approval from the UC Regents to acquire Las Varas Ranch, an agricultural property totaling 1,800 acres six miles west of the campus. 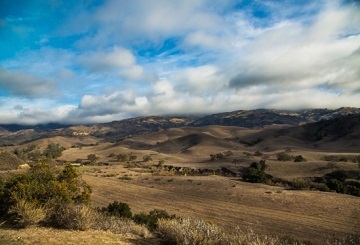 The ranch extends from the Pacific Ocean to Los Padres National Forest. 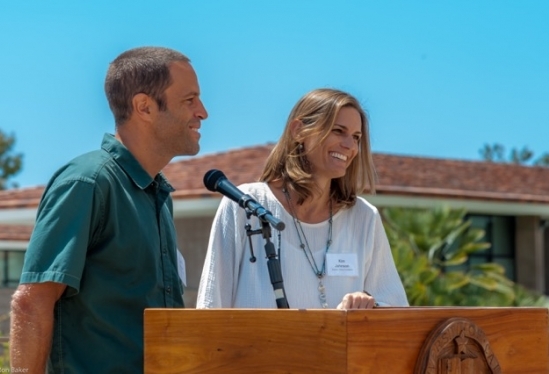 Alumni, donors Kim and Jack Johnson help UC Santa Barbara break ground on its student farm, culminating years of effort. 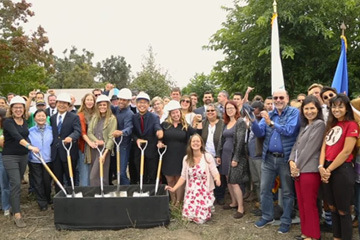 Three years after formally launching its Edible Campus program — a multifaceted effort to grow food on campus, for campus — UC Santa Barbara has broken ground on an expansive garden. 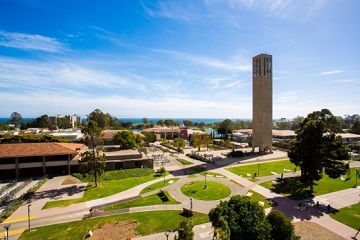 UC Santa Barbara reaches $100 million in fundraising for fourth straight year; receives more single donations than ever. Thousands of new donors and a $100 million year. For the fourth consecutive fundraising year, UC Santa Barbara in the 2017-18 fiscal year raised $100 million in gifts and pledges — a testament to the strength of the university’s relationships with alumni, parents, staff and faculty, and friends. Duncan Mellichamp, professor emeritus of chemical engineering, receives the UC Academic Senate’s 2018 Oliver Johnson Award. Mellichamp, a professor emeritus and a founding faculty member of the Department of Chemical Engineering at UC Santa Barbara, and his wife, Suzanne, have endowed 16 mid-career faculty chairs at UCSB in the areas of systems biology and bioengineering, globalization dynamics, sustainable chemistry and chemical engineering. Professor Charles Bazerman endows a fellowship fund for continuing lecturers in the UCSB Writing Program to pursue research and professional development. 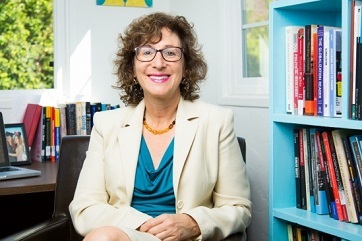 A distinguished professor of education at UC Santa Barbara, Bazerman has committed $300,000 to the university to endow a faculty fellowship for continuing lecturers in the UCSB Writing Program. The new gift, made with his wife and UCSB colleague Shirley Geok-Lin Lim, a professor of English, makes permanent the support Bazerman has provided to continuing lecturers since 2015. 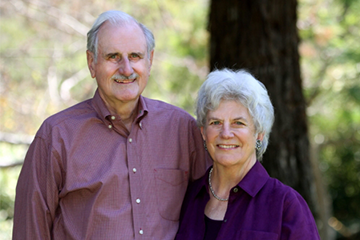 Through their Zegar Family Foundation, Merryl Snow Zegar and Bloomberg co-founder Charles Zegar gift UCSB $1.04 million to address climate change through science. 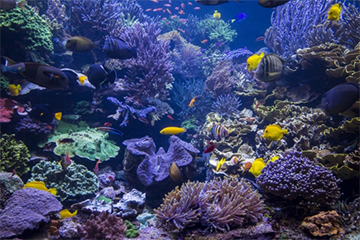 Coral bleaching is at the center of a new research effort at UC Santa Barbara being funded by a gift from the Zegar Family Foundation. The nonprofit organization founded by Charles and his wife, Merryl, is supporting three new UCSB-based projects — the other two are focused on food supply — aimed at finding environmental solutions. 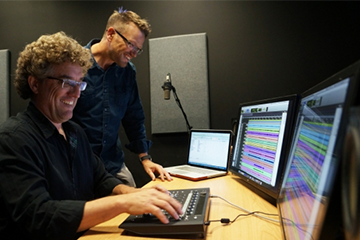 UC Santa Barbara’s Department of Film and Media Studies unveils new state-of-the-art sound mixing program. Named for donor (and former screenwriting instructor) Paul Lazarus and his family, the Lazarus Sound Lab promises to train students in the latest programs and techniques for capturing, editing and mixing high-quality sound. Additionally, renovations to an existing screening room were made possible by donor and UCSB alumnus Scott Frank (’82). Computer scientist Rich Wolski named to the Duval Family Presidential Chair in Energy Efficiency, made possible by a gift from Glenn ’80 and Bettina Duval. Papers of Shirley Kennedy, influential educator and activist, are gifted to the UCSB Library’s Special Collections. The Kennedy family, working with the UCSB Center for Black Studies Research (CBSR), has donated the Shirley Kennedy Papers to the university. 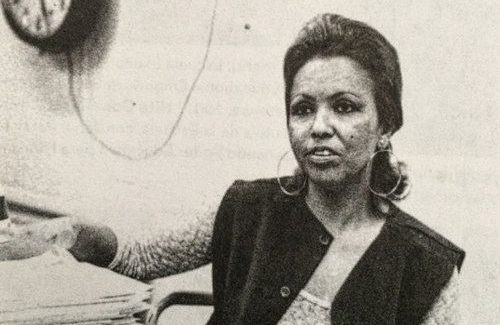 They will be housed at the California Ethnic and Multicultural Archives (CEMA) at the UCSB Library and be made available to those who want a glimpse of the inner workings of the progressive, multifaceted woman. Three scientists and scholars are elected to the 238th class of the American Academy of Arts and Sciences. 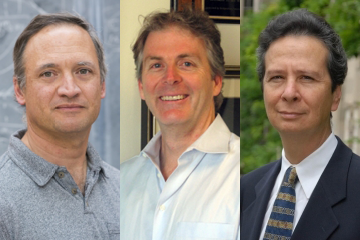 Professor Leon Balents holds the Pat and Joe Yzurdiaga Chair in Theoretical Physics, Professor Craig J. Hawker holds the Alan and Ruth Heeger Chair in Interdisciplinary Science, and Professor Edward E. Telles is a Distinguished Professor of Sociology. Their selection brings to 37 the number of UCSB faculty members who have been named fellows of the academy. 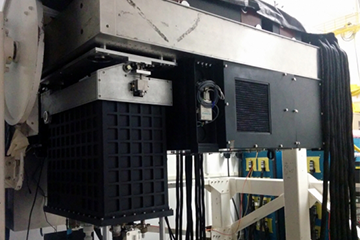 “Taking a picture of an exoplanet is extremely challenging because the star is much brighter than the planet, and the planet is very close to the star,” said Mazin, who holds the Worster Chair in Experimental Physics at UCSB. Mishra, the Donald W. Whittier Professor in Electrical Engineering, is recognized for his considerable contributions in the research and development of energy-efficient microwave and energy conversion power electronics. It is the highest honor bestowed upon UCSB professors by their peers and recognizes extraordinary scholarly distinction. UCSB Give Day 2018 raises more than $5.6 million in just 24 hours. You’ve outdone yourselves, Gauchos. Big time. Addition of lights to Uyesaka Stadium will enable night games, enhancements to benefit student-athletes, campus and community. 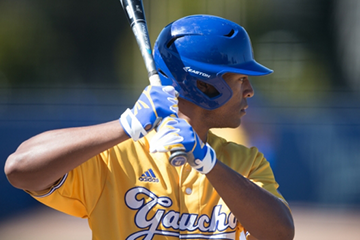 Creating new opportunities for Gaucho baseball, for Gaucho fans and for the Santa Barbara community at large, UCSB Athletics will soon install lights at Uyesaka Stadium. A goal of the department for many years, the $1.3 million project has now been made possible through the generosity of multiple donors. Carsey-Wolf Center film series pays homage to women in comedy. 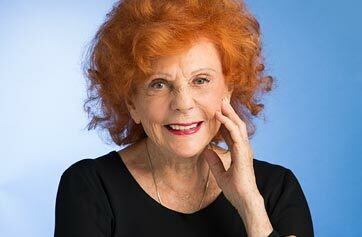 “Women in Comedy” pays homage to the women comedians of today and yesteryear and also to the Carsey-Wolf Center namesake Marcy Carsey, a UCSB Trustee and Honorary Alumna. 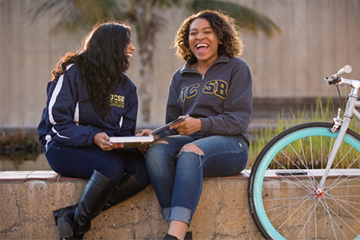 UCSB’s second Give Day, a 24-hour digital fundraising event, will take place April 12. 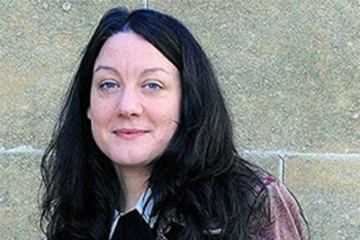 Award-winning memoirist Helen Macdonald will give a public reading and work with students in the Writing Program. Made possible by a gift from Diana and Simon Raab, the writer-in-residence series gives undergraduate writing and literature students at UCSB a unique opportunity to engage with masters of the craft. Creative writers, humanities scholars, journalists and filmmakers give public lectures or readings for the Santa Barbara community, and while in residence, they meet with students in a classroom setting to explore the craft of writing. 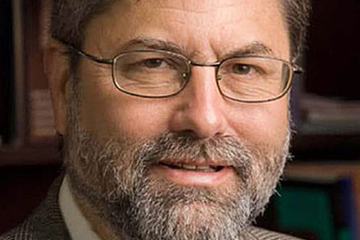 Acclaimed anthropologist Charles R. Hale assumes role as the dean of social sciences at UCSB. 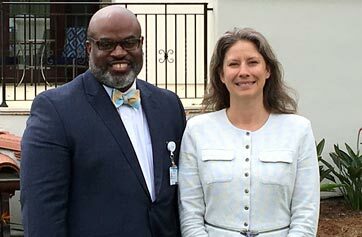 As the new SAGE Sara Miller McCune Dean of Social Sciences, Hale oversees 12 academic departments and programs with more than 6,500 undergraduate and 400 graduate students. 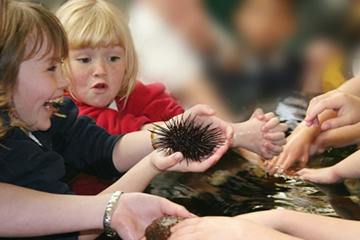 Betty Elings Wells’ major gift to UCSB’s REEF touch-tank and ocean education facility will fund improvements and enhance outreach. Wells, honorary alumna, UCSB Foundation trustee, real estate investor and philanthropist, has gifted the REEF with $1 million to create the Betty Wells Marine Science Outreach Initiative. UCSB invests in students and augments their learning with fieldwork, an increasingly rare practice among universities. UC Santa Barbara announces Dangermond Endowed Chair in Conservation Studies. 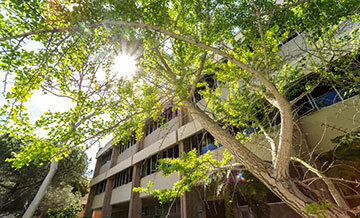 The $1 million endowment will further enhance UC Santa Barbara’s reputation for research and teaching in the environmental and Earth sciences, environmental sustainability and technological innovation. 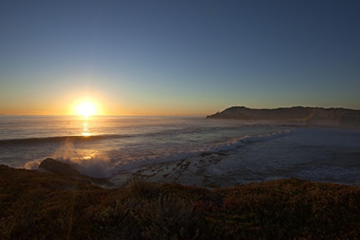 Holders of the Dangermond Chair will bring distinguished records of active scholarly engagement and teaching to new innovative research projects conducted, in part, at a new conservation preserve near Point Conception. 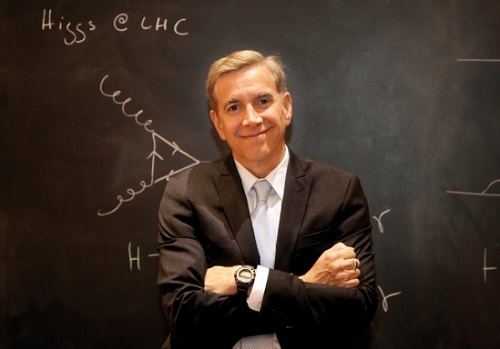 UCSB KITP member Leon Balents is appointed to the Pat and Joe Yzurdiaga Chair in Theoretical Physics. 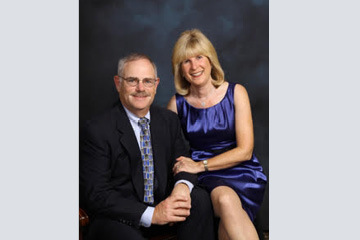 He is the second UCSB faculty member to hold the position named for longtime campus supporters Joe and Pat Yzurdiaga. Balents follows in the footsteps of prominent string theorist and UCSB Professor Emeritus Joe Polchinski. 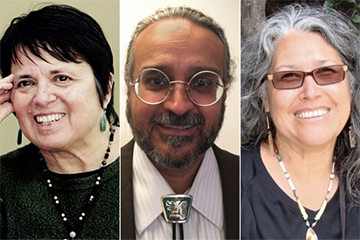 New faculty in UCSB’s English department bring vibrancy to Chicana/Chicano literature studies. The Erickson Presidential Chair, which could be the first-ever endowed chair in Chicana literature advertised by a U.S. English department, was made possible by a gift from philanthropists John and Jody Arnhold. 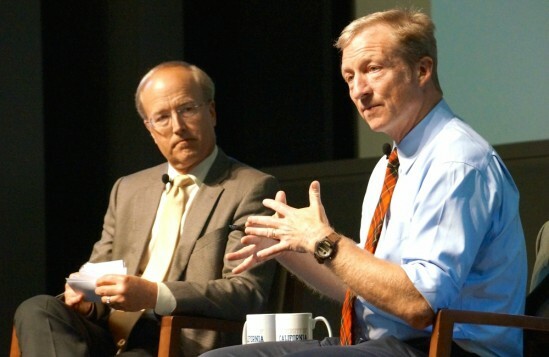 Duffy noted that John Arnhold ’75, a UCSB trustee, English alumnus and generous supporter of the campus, said the department could designate the chair in any field deemed appropriate. The faculty voted overwhelmingly for Chicano literature. Talk by Robert Reich will inaugurate new Blum Center for Global Poverty Alleviation and Sustainable Development. The UC Santa Barbara Blum Center for Global Poverty Alleviation and Sustainable Development will bring the issues of poverty and inequity front and center, gathering faculty and students from a host of academic disciplines to teach, learn, conduct research and to explore opportunities for collective action and practical engagement. Jody and John Arnhold ‘75 endow a production fund for UCSB theater and dance, securing its programs for generations to come. John Arnhold ‘75, with his wife Jody, a luminary in dance education, has gifted the UCSB Department of Theater and Dance with $1.25 million — the largest endowment in its history. 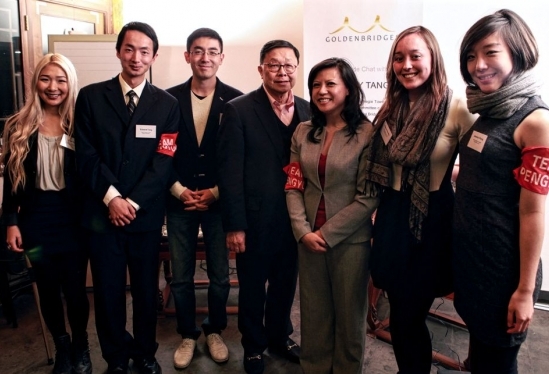 The support establishes a production fund to secure the department’s programs for generations. UC Santa Barbara Foundation welcomes four new trustees; alumnus Richard Breaux takes seat as board chair. Alumnus Richard Breaux ’67, a highly successful builder with a strong background in education and a belief in the power of philanthropy, is the new chairperson of the UC Santa Barbara Foundation Board of Trustees. Communication professor Joseph Walther is named to the Bertelsen Presidential Chair in Information Technology and Society. Investor and philanthropist George Holbrook’s gift safeguards graduate research fellowships at the Institute for Energy Efficiency. George Holbrook, local resident, venture investor and philanthropist, has pledged a $4 million bequest from his estate to fund continued support of the Holbrook Foundation Fellowships he created in 2011. UC Santa Barbara reaches $100 million in fundraising in fiscal year 2017. For the third consecutive year, UC Santa Barbara has reached or surpassed $100 million in fundraising, receiving a total $100 million in gifts and pledges for fiscal year 2017. Since 2011, yearly donations to the campus have more than doubled due to philanthropic support. 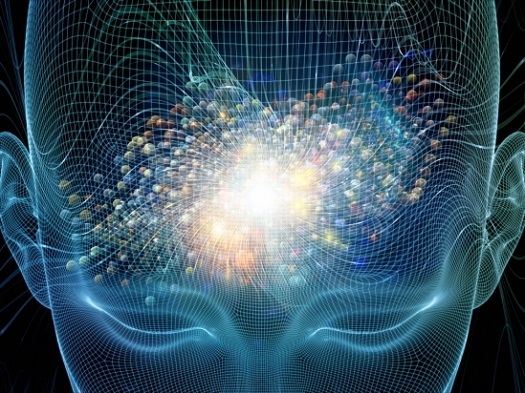 UCSB Brain Initiative wins Hearst Foundation award to amplify interdisciplinary effort. 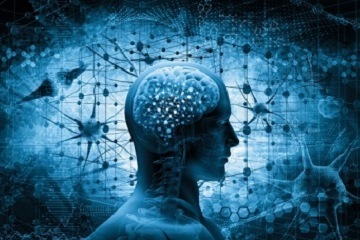 In fields ranging from mechanical engineering to molecular biology, psychology to philosophy, electrical engineering to English, top minds at UC Santa Barbara are striving — together — to solve this enduring puzzle by way of the cross-disciplinary UCSB Brain Initiative. 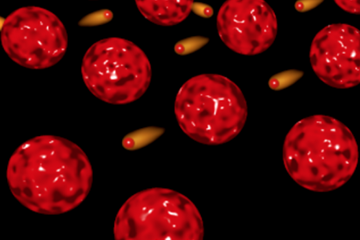 Chemist receives the 2017 Otis Williams Postdoctoral Fellowship for an innovation that uses bubbles to pump insulin. 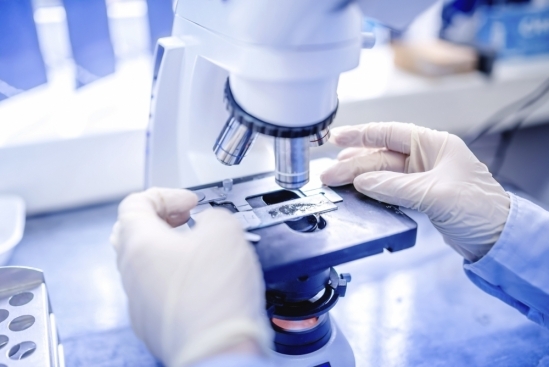 The Otis Williams Fund at the Santa Barbara Foundation provides support for young Ph.D. scientists to work at the interface of biology and engineering. For her fellowship, Scida has a plan to engineer a solution to one of the world’s largest epidemics: diabetes. 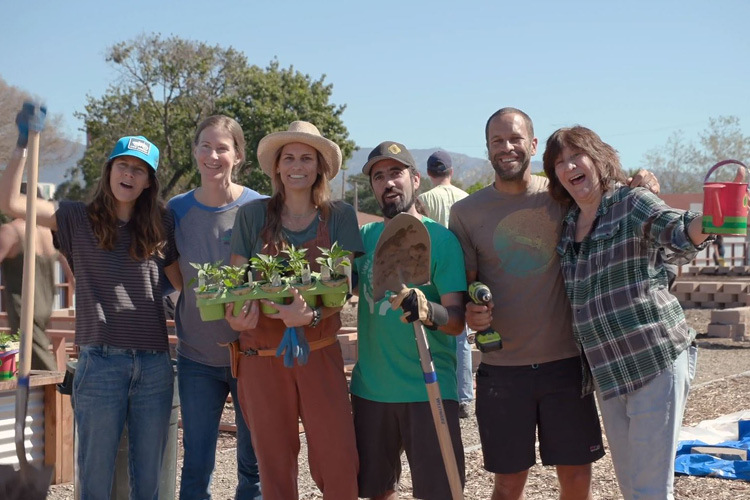 Alumni Kim and Jack Johnson team with UCSB’s Edible Campus Program on a teaching farm to promote sustainability, feed students in need. Ever an institution to advance all things environment and sustainability, UC Santa Barbara is flourishing in a pursuit uncommon for a beachside campus: farming. Two years after pot-planting a duo of citrus trees beneath Storke Tower, UCSB has now added a hydroponic vertical garden near the Recreation Center. Alicia Escalante, who led the fight for justice and dignity in the turbulent 1960s, has donated her papers to UCSB. A poor single mother of five, she became one of the leading activists of the Chicano Movement in the 1960s. 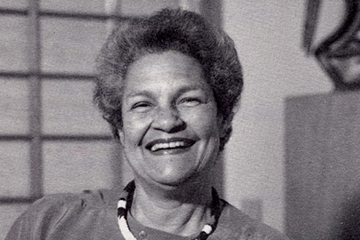 She founded the East Los Angeles Welfare Rights Organization (ELAWRO) in 1967 and participated in some of the most important Civil Rights struggles of the decade. 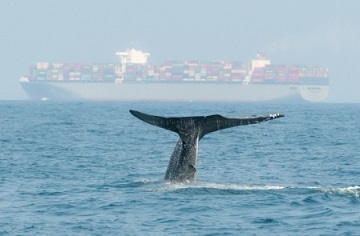 Benioff Ocean Initiative at UCSB announces first project, commits $1.5 million to finding solutions to whale deaths caused by vessel collisions. The Benioff Ocean Initiative was founded in 2016 with an initial gift of $10 million from Lynne and Marc Benioff, the chairman and CEO of Salesforce. 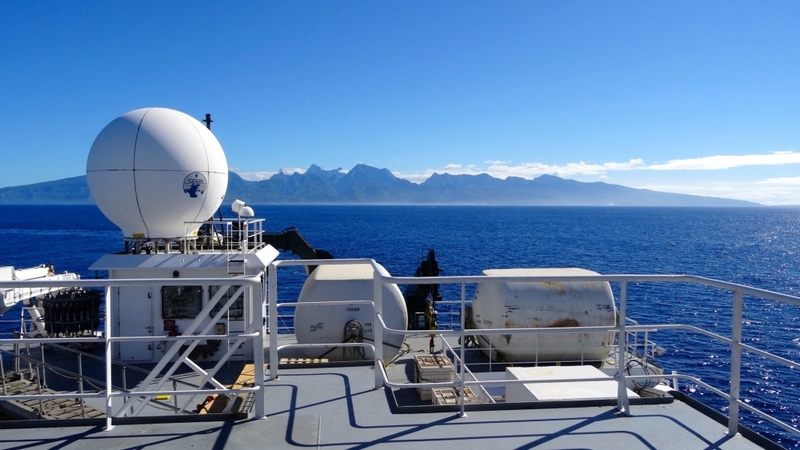 The experimental enterprise aims to combine university researchers, students and global ocean communities to identify problems and solve them with emerging technologies. Electrical and computer engineering professor Kenneth Rose and his team search for better 360° video encoding. 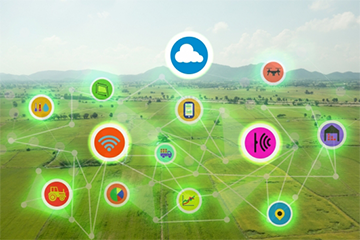 With a $40,000 gift from the company InterDigital Communications, through its charitable affiliate the Signal Foundation for Wireless Innovation, Inc., Rose and his team will investigate methods of compression to decrease both the volume of data and the time needed to process it. Shelves fill nearly every wall of their home with operetta and music ephemera that will one day be housed at the UCSB Library. The Millers plan to donate their entire collection, appraised at more than $2 million, to the Library after their deaths. They also created a $1 million endowment that will fund the costs of packing, moving, processing and sustaining the collection. A major gift from alumna Linda Duttenhaver and her father, Morton La Kretz, will further research and teaching at UCSB’s Sedgwick Reserve. Devotion to environmental causes runs deep in the La Kretz family; so does a passion for philanthropy. Put them together and it’s a true force of nature. 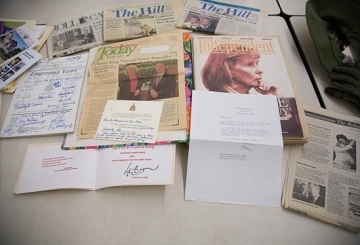 Newly retired U.S. Congresswoman Lois Capps donates her papers, two decades worth, to UCSB Library Department of Special Research Collections. “The UCSB Library is honored to preserve and manage former Congresswoman Lois Capps’s papers, which will support generations of students and scholars interested in her 20 years of leadership and service,” said University Librarian Denise Stephens. 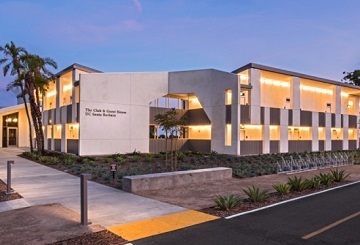 UCSB’s renovated faculty club, now The Club & Guest House, is open for business. A grand opening celebration for the campus and community, including an open house, will be held at the new facility Tuesday, Jan. 31, from 3:30 to 6 p.m. 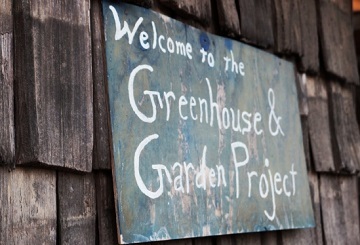 Unique collaboration of UCSB’s Gevirtz Graduate School of Education, Edible Campus Project and Orfalea Family Children’s Center seeds sustainability in preschoolers. Given proper care and attention, a single seed can grow into something that flowers for generations. 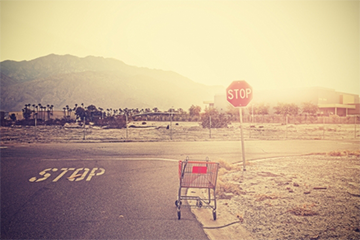 And that’s the hope — both literally and figuratively — of a unique new collaboration at UC Santa Barbara. UCSB physicist and KITP permanent member Joseph Polchinski wins prestigious 2017 Breakthrough Prize in Fundamental Physics. 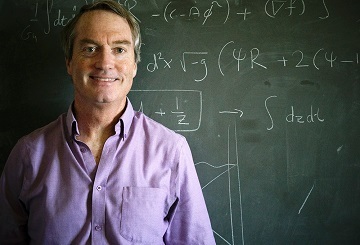 Awarded for his transformative advances in quantum field theory, string theory and quantum gravity, distinguished UC Santa Barbara physicist Joseph Polchinski has won the prestigious 2017 Breakthrough Prize in Fundamental Physics, which recognizes major insights into the deepest questions of the universe. 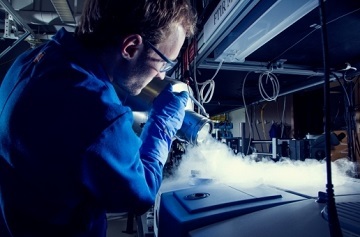 With a gift of $1 million to create a high-level postdoctoral fellowship in fundamental physics, UCSB pushes to address the discipline’s most fundamental and vexing questions. 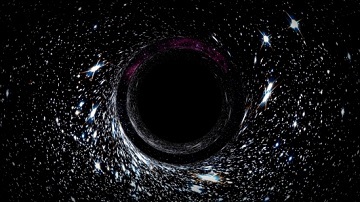 Thanks to this major new gift, UC Santa Barbara aims to unleash promising young scientific minds on harmonizing the theory of relativity and quantum theory, finding a quantum theory of gravity, and other related topics. 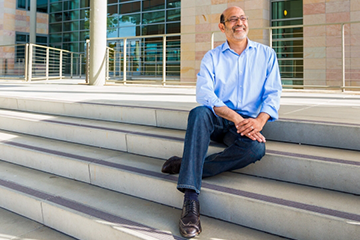 UCSB professor Samir Mitragotri is elected to the National Academy of Medicine. 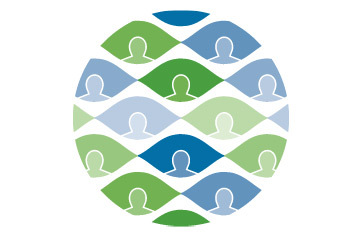 Mitragotri joins 79 new members chosen by the organization in recognition of their professional achievement and commitment to service. UC Santa Barbara Foundation welcomes three new trustees for the 2016-2017 academic year. Laurie Bentson Kauth, Claudia Webster and Howard Wenger join the leadership body that promotes the university by increasing philanthropy and managing and growing the endowment. 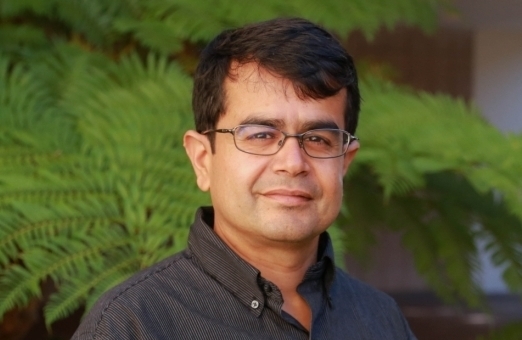 UCSB physicist Joseph Incandela will present the campus’s 61st Annual Faculty Research Lecture. 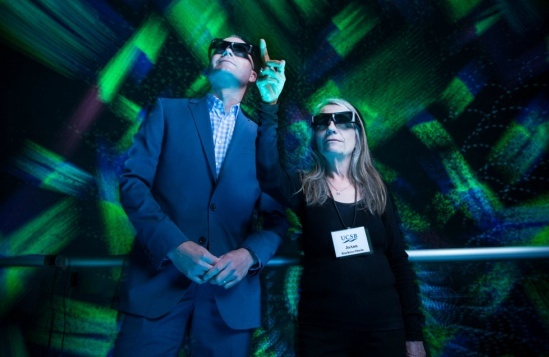 On Monday, October 17, Incandela will deliver UCSB’s 61st Annual Faculty Research Lecture, titled “Searching for the Genetic Code of our Universe.” The highest honor bestowed upon a UCSB professor by his or her peers, the lecture recognizes extraordinary scholarly distinction. 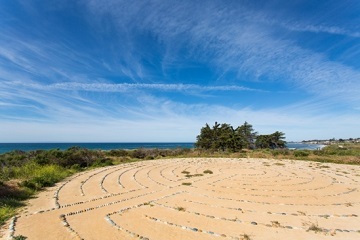 With its visiting scholars program and other offerings, SAGE Center for the Study of the Mind at UC Santa Barbara blurs the boundaries between disciplines. Freeman Foundation grant to fund 36 student internships in Asia through UCSB’s Education Abroad Program. Building on its remarkable growth, the UC Santa Barbara Education Abroad Program (EAP) has received a $150,780 grant from the Freeman Foundation to fund up to 36 student internships in Asia during the 2017-18 academic year. UC Santa Barbara marks its second-best year ever for fundraising in fiscal year 2016. UC Santa Barbara raised $119 million in private gifts for fiscal year 2016. 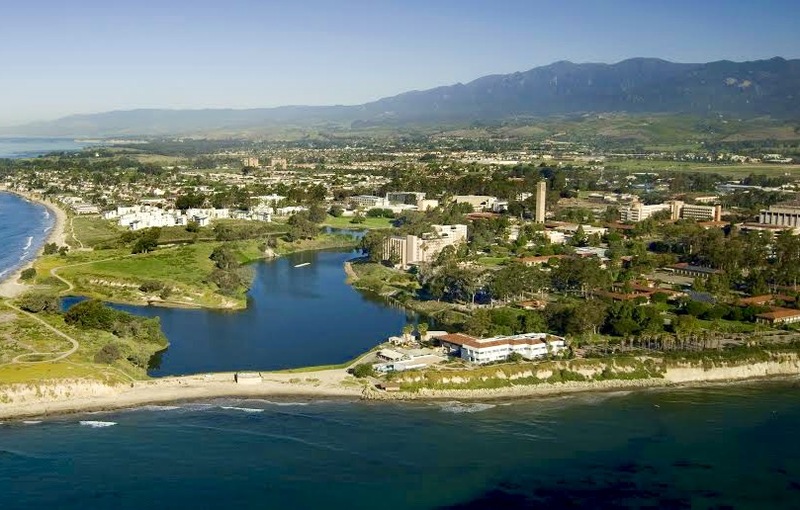 The generosity of donors propelled UCSB past its $1 billion goal for The Campaign for UC Santa Barbara and helped move the campus into a new era of fundraising. 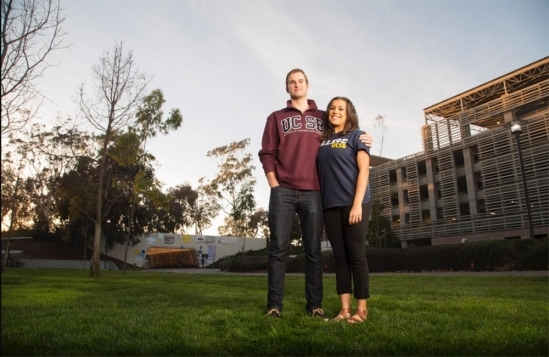 Kudos to UCSB’s award-winning postdoctoral scholars. 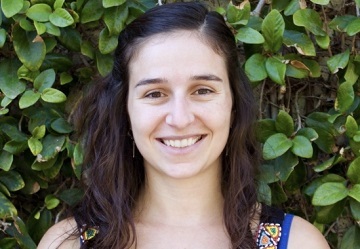 Speaking to the strength of research at UC Santa Barbara, eight postdoctoral scholars have received recognition and support to help them further their studies. Many of the accolades are related to medical or health explorations, ranging from molecular level inquiries to practical application. 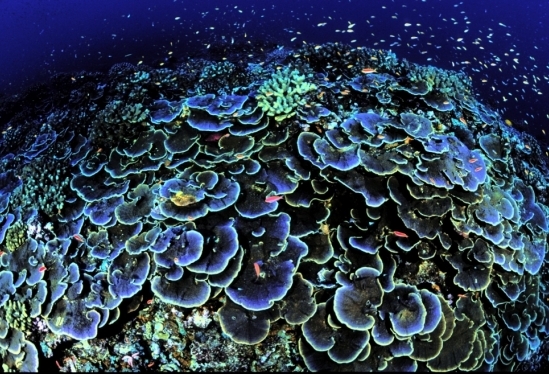 The Benioff Ocean Initiative, a bold new endeavor led by the University of California Santa Barbara, aims to research the root causes of these pervasive ocean problems and use science to solve them. 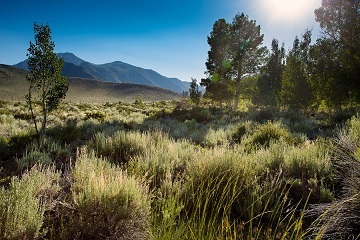 The Valentine Eastern Sierra Reserve in Mammoth Lakes, encompassing Sierra Nevada Aquatic Research Lab and Valentine Camp, is a spectacle of nature and a hub for education. Peeking through a grove of svelte, white aspens, dusty hills ascend from sagebrush, giving way to jagged, rocky peaks piercing an impossibly blue sky that extends as far as the eye can see. 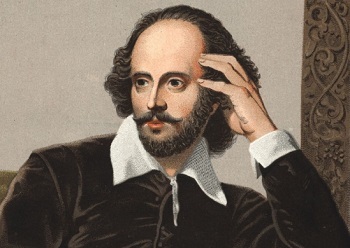 UCSB debuts a unique course that combines its theater and English departments for a deep dive into The Bard’s works. In a small theater at UC Santa Barbara, Irwin Appel and James Kearney are plowing new ground in an old field: the works of William Shakespeare. 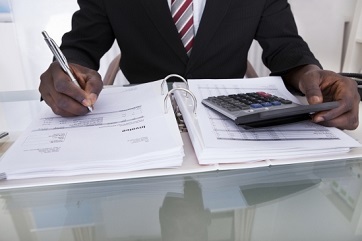 UC Santa Barbara’s actuarial science program receives multiple awards and grants for overall excellence. The International Studies Association recognizes UC Santa Barbara professor Alison Brysk’s accomplishments as a scholar and mentor. UC Santa Barbara's Bancroft Collection features a dazzling array of minerals and gem crystals. 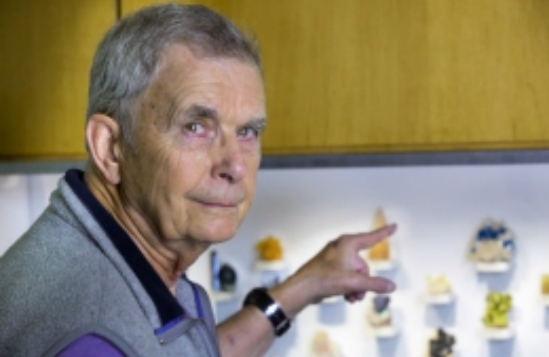 In an otherwise unassuming two-story building -- one of the first erected at UC Santa Barbara in the late 1950s -- sits treasures untold: an assemblage of minerals and gem crystals -- many quite rare -- known as the Bancroft Collection. 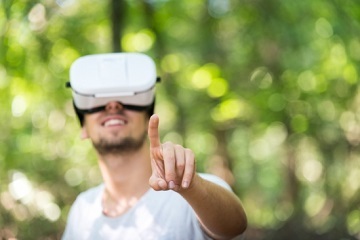 UCSB teams with MOXI, The Wolf Museum of Exploreation + Innovation to engage the public in science, technology, engineering, the arts and mathematics. TomKat UC Carbon Neutrality Project, led by UCSB, launched with $300,000 donation to combat climate change. With nearly 1,300 donors — and more than $3.7 million — UCSB’s inaugural Give Day was a resounding success. 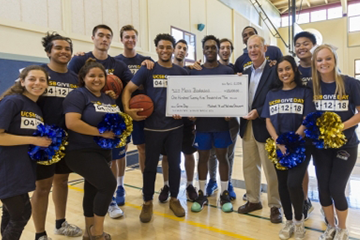 UCSB’s first-ever Give Day delivered in a major way. The one-day digital fundraising drive scored 1,268 total donors, who together gifted the university $3.7 million in just 24 hours. 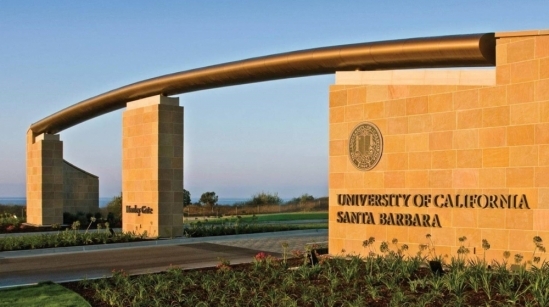 Inaugural Give Day at UC Santa Barbara launches new era of fundraising for campus. 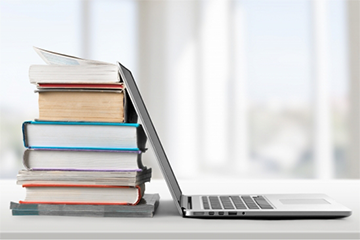 Hoping to reach alumni in their regular hangouts and foster closer connections that inspire lifelong philanthropic support of the campus, UC Santa Barbara is holding its first-ever one-day digital donation drive. Investigators from UCSB and Cottage Health present summaries of their work in the hope of forming collaborative research partnerships. UC Santa Barbara biologist Michael Mahan’s groundbreaking work on antibiotic resistance may one day change the way these ubiquitous drugs are prescribed. 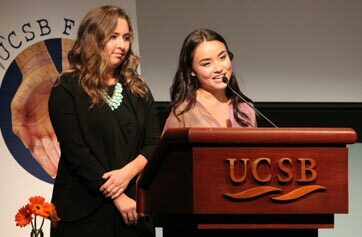 UCSB First awards dinner disperses grants to student organizations with philanthropic plans. Staying true to its central mission to help build a culture of giving of campus, the philanthropically focused student group UCSB First dispersed $4,250 in grants during its 2016 Philanthropy Awards Dinner. The Orfalea Center for Global & International Studies at UCSB celebrates 10 years of collaborative research on critical issues. When the Orfalea Center for Global & International Studies at UC Santa Barbara was established 10 years ago, its mission was fairly simple: to provide support for speakers’ series and seminars. 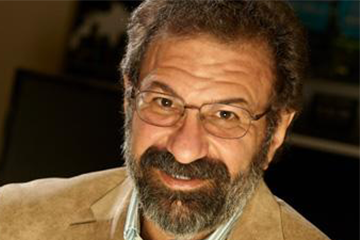 UC Santa Barbara Foundation welcomes two new trustees for the 2015-2016 academic year. Michael Stewart and Jeffrey Worthe join the leadership body that promotes the university by increasing philanthropy and managing and growing the endowment. 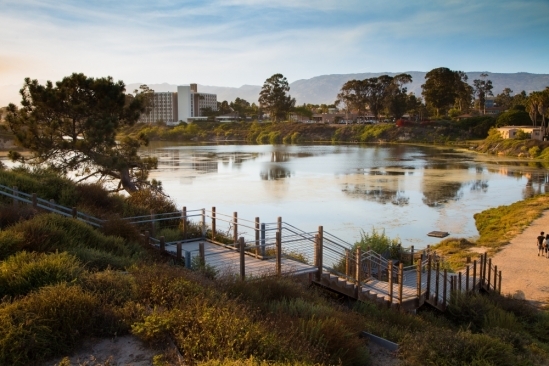 UC Santa Barbara records historic year for fundraising in fiscal 2015. Buoyed by the largest single gift in the campus’ history and a surge of donors across the giving spectrum, UC Santa Barbara had a landmark fundraising season in fiscal year 2015. Philanthropist Lady Leslie Ridley-Tree named chair of UC Santa Barbara Foundation. Prominent philanthropist Lady Leslie Ridley-Tree, a devoted campus benefactor and passionate advocate for education, has been named chair of the UC Santa Barbara Foundation. Worster fellowships in the Department of Ecology, Evolution and Marine Biology fund experiential learning for undergraduate students. 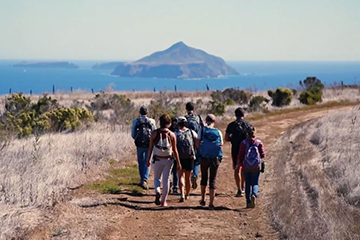 These UCSB undergraduates are among a group of students who had the unique opportunity to conduct research in the field thanks to Worster fellowships. 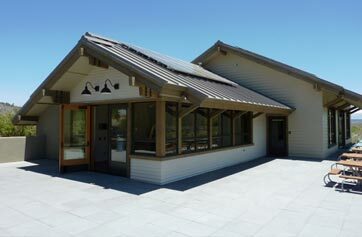 SNARL opens doors on new net-zero energy, high-tech classroom and lecture hall; Page Center named for longtime donors. Two years after making a major gift to UC Santa Barbara to help fund a project they also helped to conceive, donors Paul and Kate Page celebrated the completion and dedication of the Kate and Paul Page Research and Learning Center at UCSB’s Sierra Nevada Aquatic Research Laboratory (SNARL) in Mammoth Lakes. The student-run organization committed to instilling philanthropic ideals in current Gauchos hopes efforts will bolster giving among future alumni. Fluffy pancakes, fresh fruit, hot coffee — nothing like free food to draw out the college crowd. But it’s the camaraderie that keeps them hanging around even after the caffeine well runs dry.